‘Fair’ has been the buzzword of the cuts from the start. From the emergency budget announced by the Chancellor in the summer of 2010, to the last budget plans of April this year, we have been assured over and over again that these cuts will be fair. “We’re all in it together,” we were told. “The most vulnerable will be protected,” the line went. But it didn’t take long for the Fawcett Society, as well as some Labour MPs, to uncover who would be shouldering the real burden of these cuts. Women. An investigation by Yvette Cooper MP and Fawcett into the emergency budget discovered that 75% of the money raised from the cuts would come from women’s purses. Considering the assurances given that the most vulnerable would be protected from the cuts, it has been shocking to learn that a sector that works hardest to protect the vulnerable is in the firing line for budget cuts and centre closures. I am talking of course about the domestic violence sector. 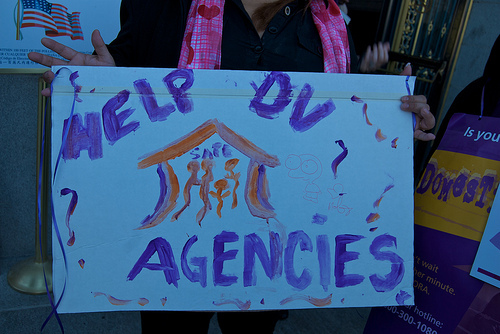 From Devon county council’s initial proposal to cut 100% of its domestic violence support services (eventually reduced to a 42% cut), to Women’s Aid’s announcement in March 2011 that 60% of refuge services will receive no council funding in 2011-2012, some of the most vulnerable, and the most silent, groups of people who are having their lifelines cut. Click here to read the rest of this feature!